Booster team will try our best to optimize your Android CPU, RAM, and battery with a single one-tap. Phone Speed Booster could kills tasks, frees up android phone`s memory and optimizes your device speed. You could select the entire app at once or individually, kill their process, free your phone memory and boost your Android device speed or even uninstall it with one time. Phone Speed Booster is an Android performance optimizer & cleaner master. It can boost the speed of your phone by up to 80%, it cleans junk (cache) files from your system, and increases the available storage space on your phone and SD card. 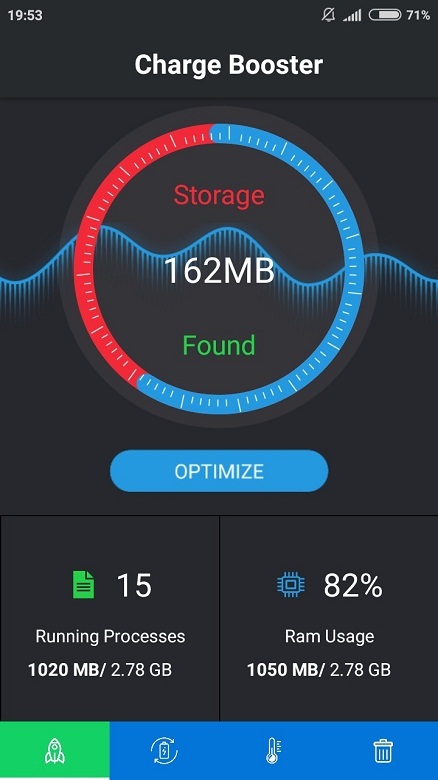 It is a total Android phone performance optimization solution that combines the advanced functionality of an apps task cleaner, speed and ram booster, storage (junk & cache) analyzer for your phone.